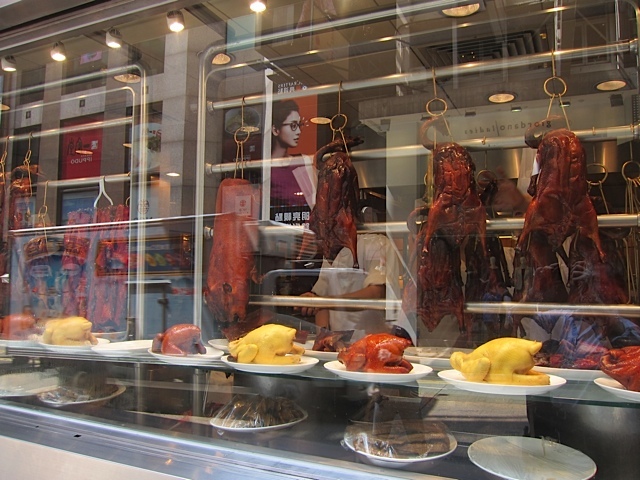 One thing you know for sure en route to Hong Kong: this city will have wall-to-wall hanging ducks, chickens, pigs, roast pork, all displayed in multitudinous carnivorous windows. The whole category is sometimes referred to as “Chinese BBQ” (even though the meaning is way different from the righteous thing we call BBQ in the American south)…and the Cantonese, who own Hong Kong gastronomically, are the masters of it. Now, I am no stranger to “Chinese BBQ.” I’m a New Yorker, and for many decades I’ve trekked down to the Manhattan Chinatown around Mott St. to window-shop. And then window-eat. 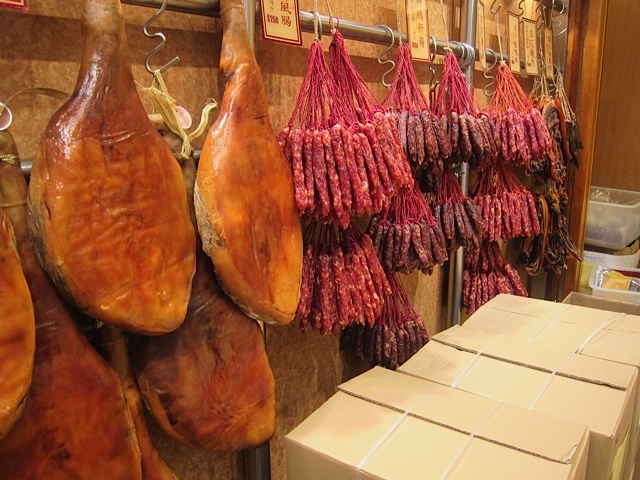 For those windows, in dozens of storefronts, hold all manner of cooked meats, ripe for slicing. You can usually eat them right there (over rice, if you like, for a cheap lunch)…or, in most shops, stacked atop a bowl of steaming noodle soup…or you can tote them home and mix them into whatever loftier presentation ideas you may have. It’s exactly the same in Hong Kong…though the big question is…do you get an upgrade in quality? 1) ROAST PORK. This long strip, dyed reddish, has been the staple of Chinese-American restaurants since the 1940s. 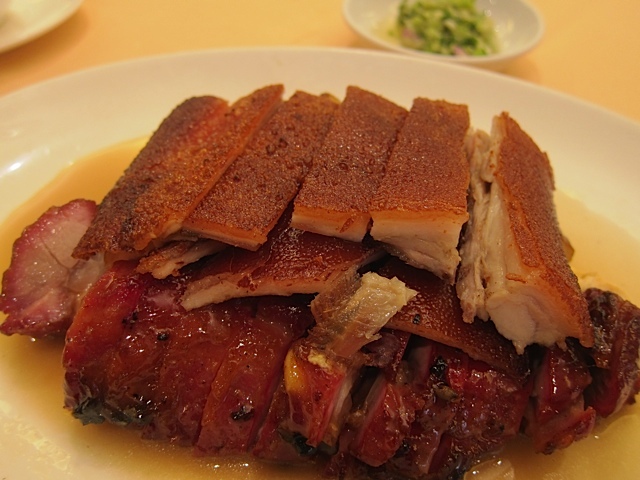 It’s a little sweet, garlicky, soy-y…and should be juicy-fatty as hell, sinfully porky. Usually cut into 1/4″ thick crosswise slices. Just as popular in Hong Kong as in New York. 2) ROAST PIG. Often next to the red loins of roast pork is the prepossessing sight of hanging half-pigs, the whole half-animal, bones intact, skin on—and what a skin! 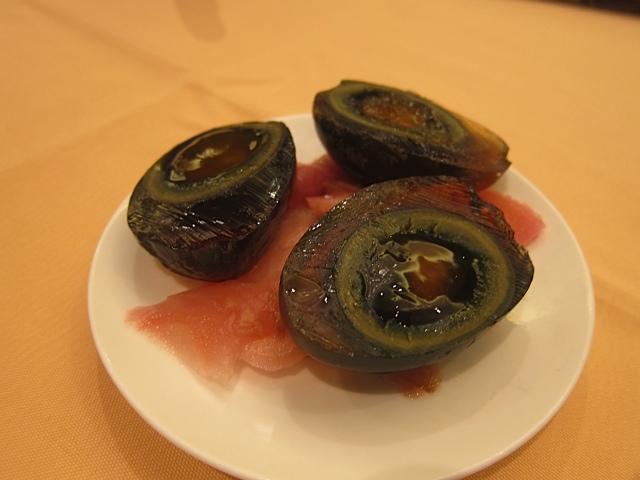 When done right, it is shattery-crispy, with white-grey meat below the skin that is moist and tender. 3) ROAST DUCK. 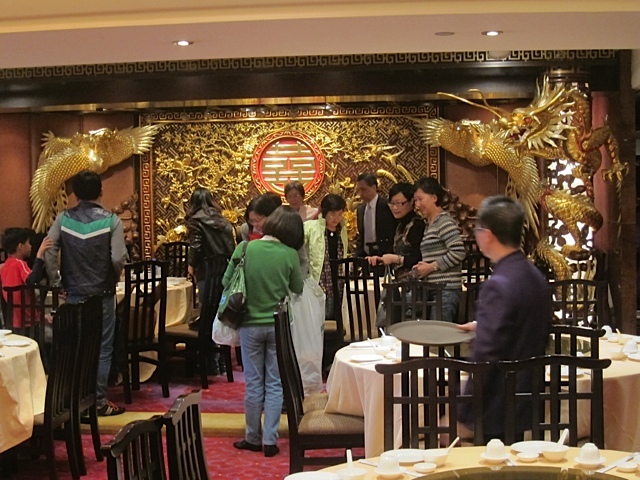 For most, duck is the premier attraction of a “Chinese BBQ” window. Burnished ducks, hanging whole with heads and all, should provide crunchy skin and deeply, deeply ducky meat, usually with a scintilla of marinade based on five-spice-powder. NOTE: The duck is supposed to be taken down from the rack, and cleavered into thick slices, bone and all. Some Chinese restaurants in the U.S. assume that Americans want their duck “hot,” so the newly-cut bird goes into the microwave. Do not let this happen! The crisp texture turns to clammy texture! Whatever temp the duck is hanging at (usually room) is best! 4) SOY CHICKEN. Decidedly less spectacular looking, whole hanging chickens lightly burnished with soy (but less so than the ducks) can provide an unexpectedly delicious treat. The greatest virtues, when they appear, are a profound, old-fashioned taste of chicken, and a marvelously juicy-slidy texture (even the breast should be a velvety delight!). Soy’s a player, but chicken dominates. 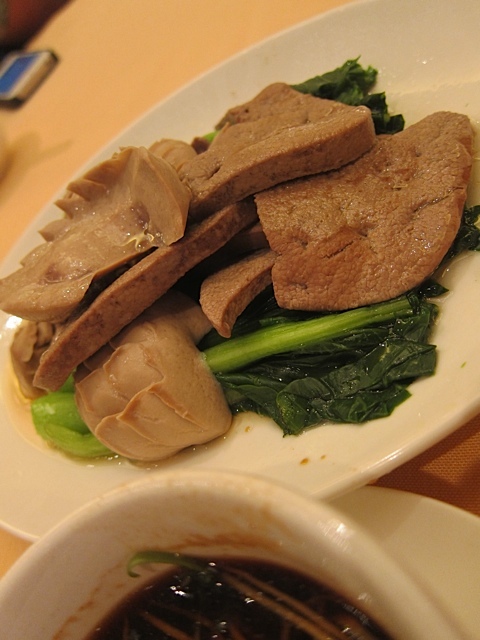 In preparing my trip to Hong Kong in March, I knew that I could easily spend the whole week wandering from one cooked meat window to another. 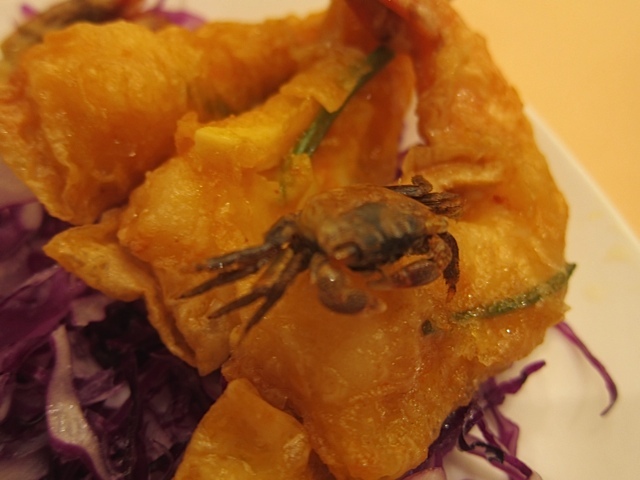 As you know, of course, that was out of the question…because I wanted to cover funky Hong Kong food in its diversity (this is the third report of six reports I’m posting). So the solution was this: ask my hosts to take me to the one roasted-meat restaurant that is arguably the town’s finest. 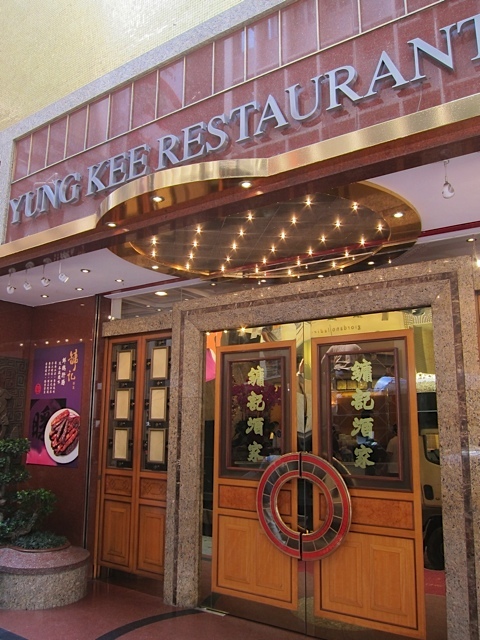 They complied, and on a blissful Saturday afternoon in the old-fashioned district on Wellington Street, rife with old shops and sprawling open-air markets, I approached the solid, imposing entrance of a roast meat shop gone upscale, the proud and ornately decorated Yung Kee, usually filled at meal hours to its 650-seat capacity. But as we all know the proof’s in the pudding, or, in this case, the roasting. Have I ever had better soy-sauce chicken? I think not. 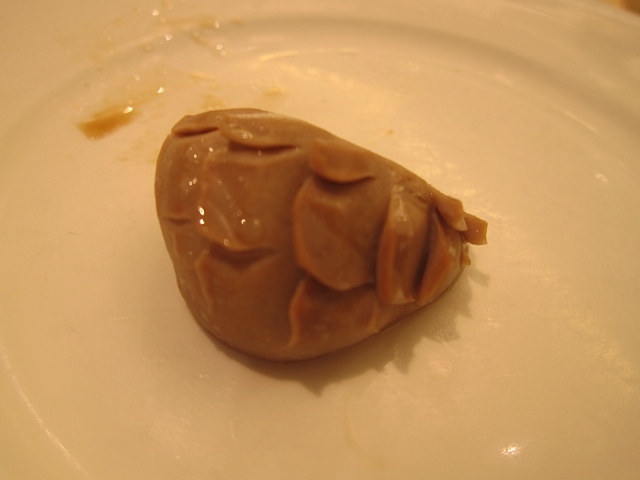 Along with depth and texture, there was amazing thick yellow fat inside that lubricated the whole affair. And the scallion-ginger-shallot dipping sauce was right on the flavor-boosting money. was excellent, though I have had crispier skins; this one was a little on the leather-y side. The very fatty-moist meat below was top-notch, however. 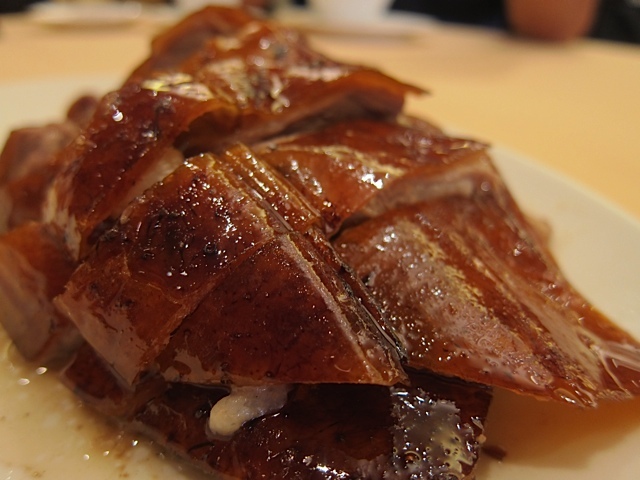 This crispy-skinned miracle (it’s downright LOUD as you chew it) is easily the best Chinese whole pig I’ve ever had, worth alone the price of admission, slamming New York roast pig into submission. It was brought down to earth by the roast pork below it on the platter which, while pretty yummy in flavor, had an unattractive chewiness to it that is not typical of the greatest char siu. But don’t wander offal-ward if it’s not your bent! 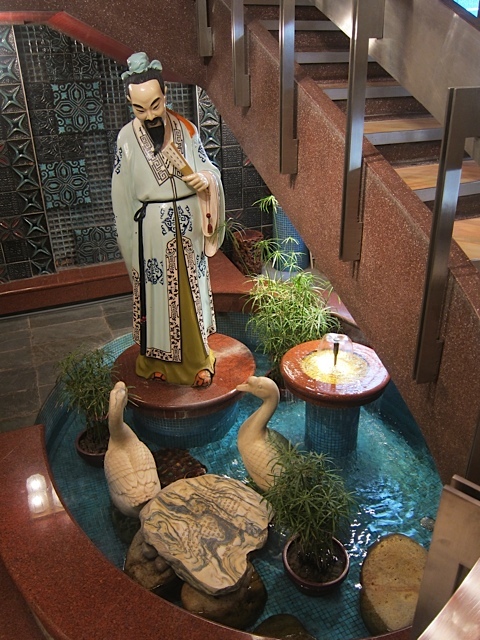 Stick with that suckling pig and that soya chicken…and Confucius will beam on you too! 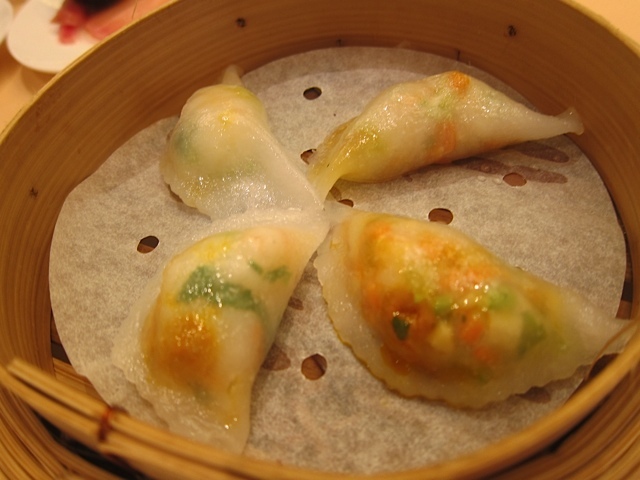 Hong Kong Eats: Going to Pot!